It’s wedding season! We get asked about wedding gifts all the time, and we know that sometimes you are looking for a more special gift for an important couple than what they have asked for on their registries. We chatted with Fox 2 Detroit and Fox Chicago about 7 Creative Gift Ideas You Can Give Couples for Wedding Showers and Wedding Gifts. Make sure to check out our Wedding Gift Etiquette and Advice post or our Wedding Gift Section on the site for more ideas. 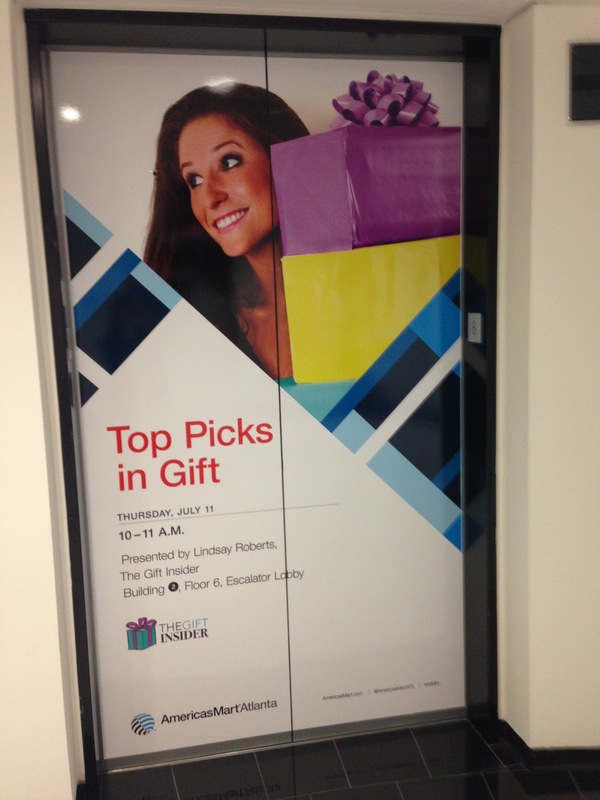 We were definitely getting a kick out of being on the elevators all over the AmericasMart the past two days! Feel free to check out our presentation below with our top ten gift picks and the showrooms where you can purchase them. 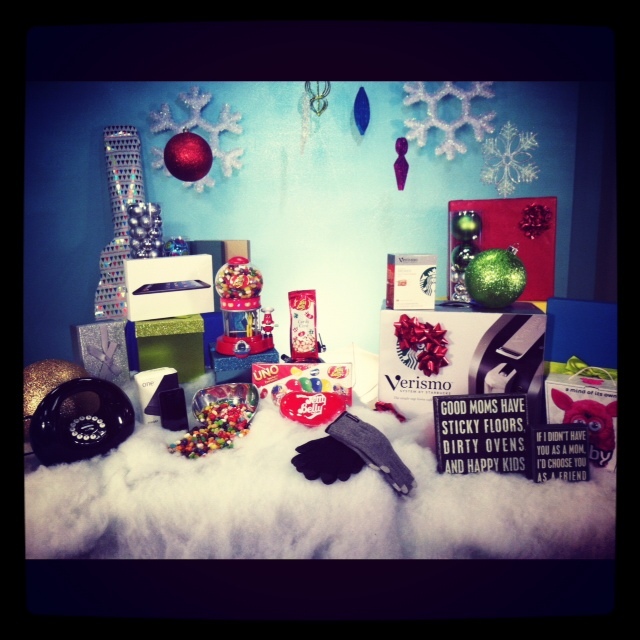 DOWNLOAD our Top Picks in Gift presentation here. AmericasMart Atlanta Intertnational Gift Mart is one of our favorite events of the year. The massive AmericasMart is filled with all of the latest gift products on the market and as a gift-giving expert we get the lucky job of scouring through all of the products and picking out our Top Ten Picks! This is one of our favorite places to spot trends, get inspiration and find all of you coolest new gift ideas out there. We honestly can’t wait. If you are going to be out there, come say hi and make sure to head to my seminar on Thursday, July 11th from 10-11am (Bldg 2, Fl 6, Escalator Lobby). 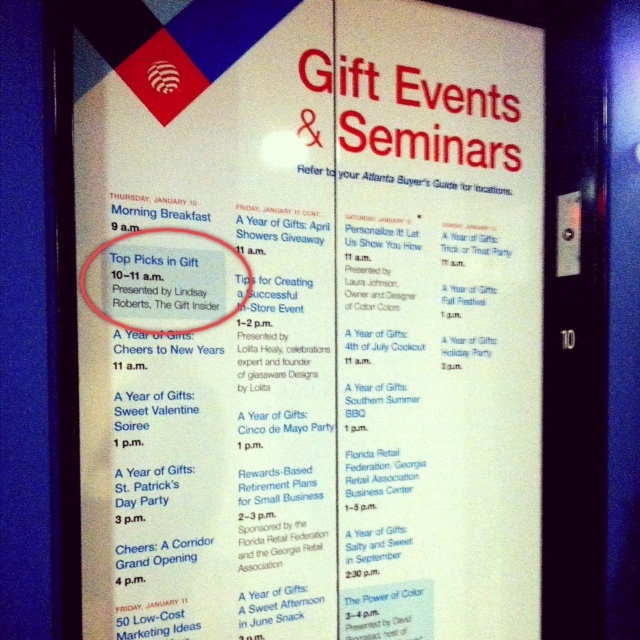 See new Top 10 favorite gifting items found in the permanent showrooms at AmericasMart! We shared some gift-giving expert advice with Chicago this morning, highlighting our top 7 unique wedding gift ideas on Fox’s Good Day Chicago. 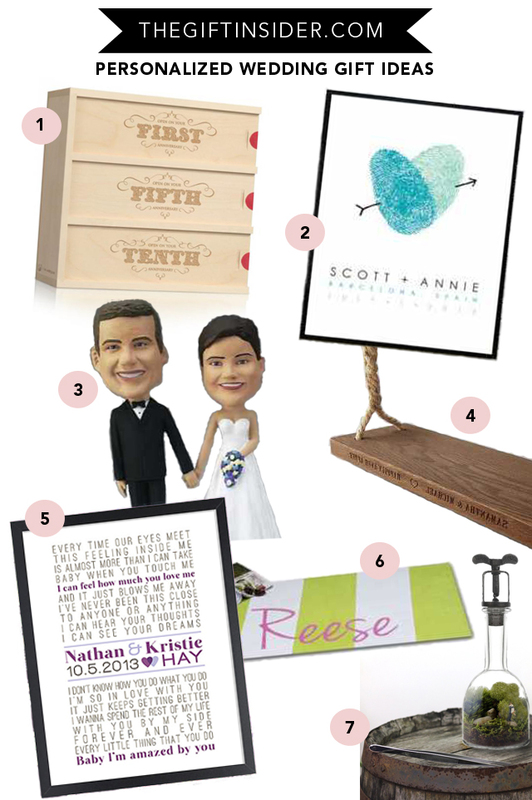 We’re all about helping you find thoughtful, creative and sentimental wedding gift ideas. Go the more special route and stay off their registry. 15-35% off discount codes for all products linked in our Gift Guide. –> Check out the clip of The Gift Insider featuring her top picks for Unique Wedding Gift ideas on Fox’s Good Day Chicago on 4/23/2013. *Be sure to sign into your Gift Insider account or sign-up to be a member here, to get the discount codes. Code only valid for few days surround segment. Be sure to check out the linked presentation below if you are interested in what gifts we picked out. Check out images, company names and showrooms of our Top Ten Gift Picks from the 2013 America’sMart International Gift Market. Feel free to check out their site to find more info on the companies we chose as well. Tune In All Over the Country Tomorrow! We are super excited for our first-ever Satellite Media Tour tomorrow featuring HOT HOLIDAY GADGETS AND GIFTS with KEF Media. We’ll be doing 20 interviews in 5 hours, oh boy! Tentative schedule below. Our friends from Atlanta, Boston, Jacksonville, Buffalo, Denver and Tucson be sure out the times because we will be on one of your main local affiliates sometime tomorrow morning. Between 7:30 AM – 12:00 AM EST. With Father’s Day this Sunday, you might find yourself still without a gift for dad. But don’t worry: It’s not too late to get him a great present.